Accuracy off the tee is a must for this stroke 2. 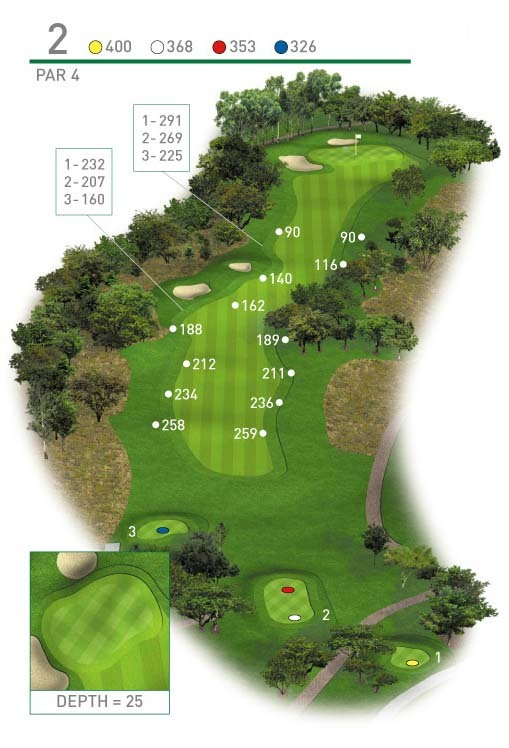 Two bunkers protect the left fairway whilst three well positioned trees will punish any errant tee shot to the right. For the longer hitters taking over these trees is an option. A mid to long iron will be required for your second and hitting the heart of this green is a must. Any shot pulled left will be punished by a well positioned bunker.